Jessica Harrington is a promising horse rider who dreams of representing her country. But the recent death of her father her coach and mentor has left her doubting her ability to continue in the sport. 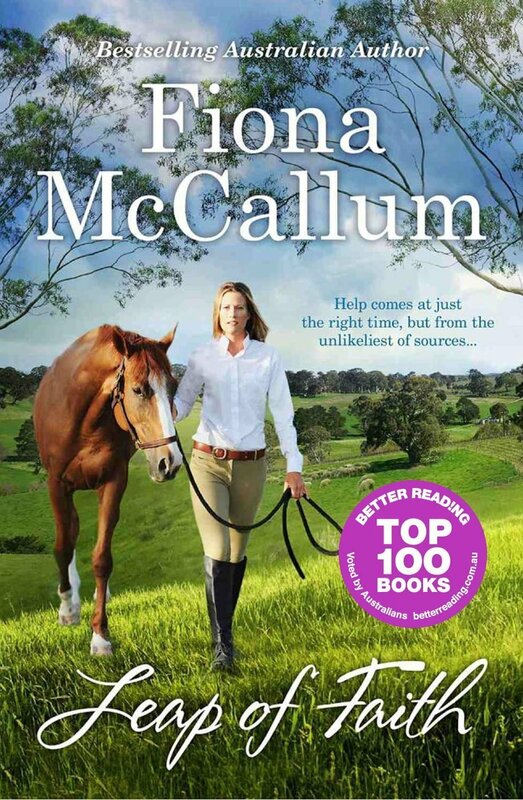 When she fails at the Adelaide International Horse Trials her fears are confirmed and her world begins to fall apart. Unable to bear seeing her well bred, highly trained horses languishing in the paddock, she makes the snap decision to sell. She’s broken her own heart, but can’t see any other way – now she will just have to focus on a life without them. Her husband Steve and best friend Tiffany, however, can see through her bravado. Jessica is dismayed when Steve brings home a horse from a clearing sale, a horse so skinny and forlorn he just couldn’t leave it behind. Unwilling to be drawn back into the world of horses, she/s reluctant to get involved. But when a summer thunderstorm brings on a life or death emergency, she finds she underestimated the heart of one little horse. Can Jessica put her trust in Faith?